Today is a “Me Day Monday”. I don’t know about you but this cold weather is not being overly kind to my skin, nor the early morning starts. I’m convinced that somehow I seemed to age overnight and develop… wait for it.. some fine lines under my eyes and something I’ve never had before.. eye bags!!! 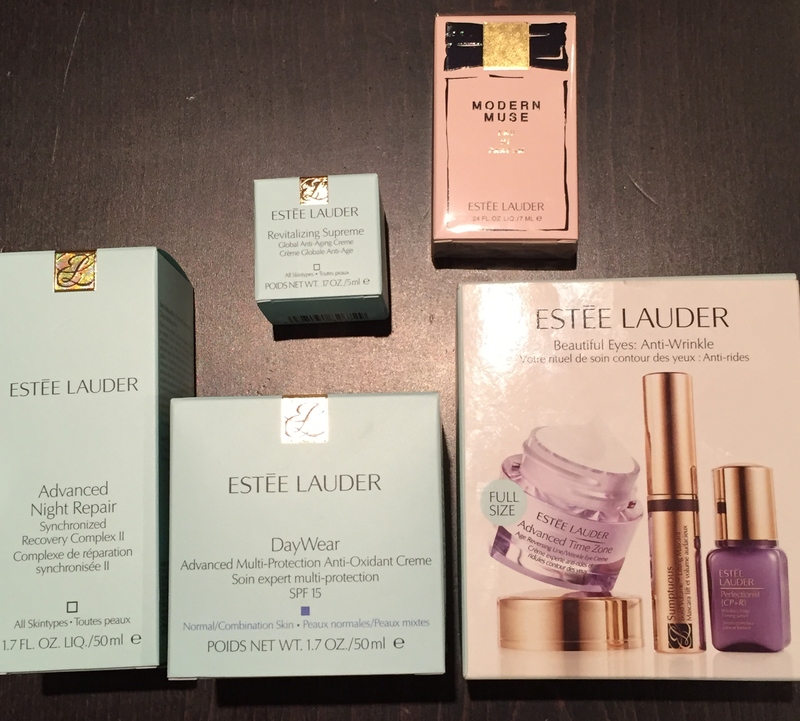 Ok, maybe my splurge below was rather OTT and the apparent ageing was simply linked to lack of sleep but these items are wonder products which I would highly recommend. I noticed a difference after one night! and since then my skin is looking in tip top condition. Very excited to see what the continual usage results will bring. 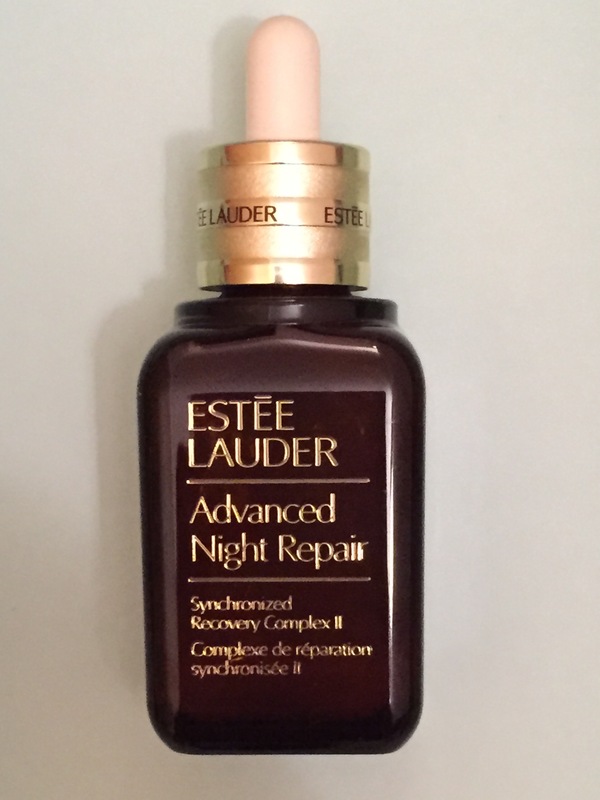 I purchased the much hyped about Advanced Nigh Repair Recovery Complex Serum (£69 for 50ml). Promising to wake up to beautiful looking and minimise the appearance of fine lines and wrinkles. The ChronoluxCB Technology makes the skin feel smoother, hydrated, radiant and fresh. I was amazed at how well this product worked after one use. The serum melts into the skin and when I woke up, any signs of a blemish had magically disappeared. Well worth the money!! This will last a long time so when you think of price per usage, it’s definitely an investment! 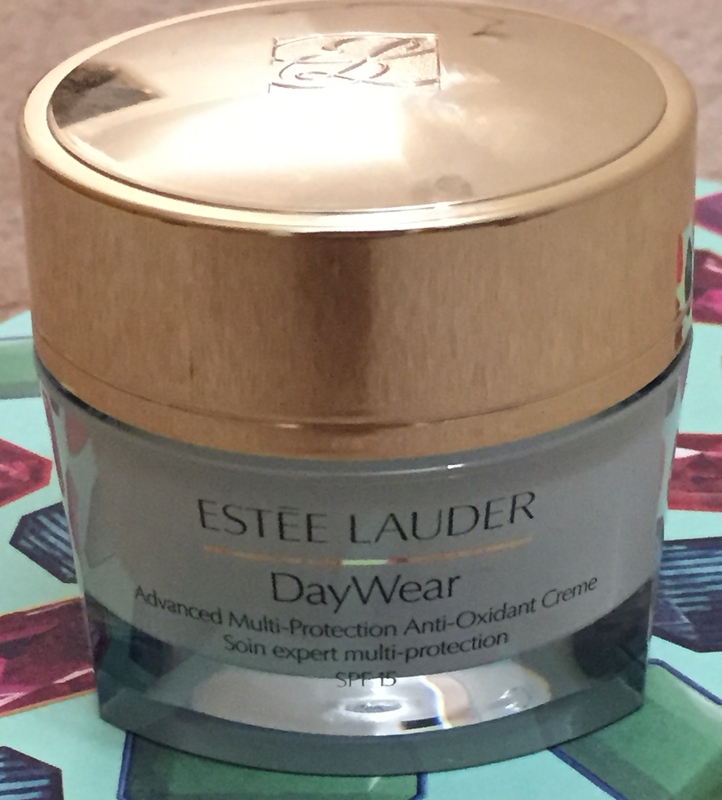 I then got the DayWear Advanced Multi Protection Anti-Oxidant Oil Free Crème (£40 for 50ml). I was looking for a new day/night cream and this one can be used both morning and night. It contains cucumber extract which adds to the refreshing feel to it whilst also making your skin feel silky smooth. This cream is oil free which reduces potential blemishes from arising (if you have combination skin like I do). The cream also targets dullness, dry skin and the first signs of aging. Most importantly, it contains an advanced sunscreen with an effect UVA defence, which as we know is essential for keeping ageing at bay. Overall I am VERY happy with my purchases. A very big splurge but so far I can safely say that it has been worth it. ← Fresh Start – Beauty Unboxed. The January 2015 GlossyBox is here! !